ST. GEORGE – For William Shake, owner of High Knees Cycling in St. George, biking is just as much a lifestyle as it is a sport. That’s why he believes in operating what he calls a customer-centric bike shop. Raised in a family of bikers, Shake said he has worked to build a store that emulates the same culture of biking as he has always known. 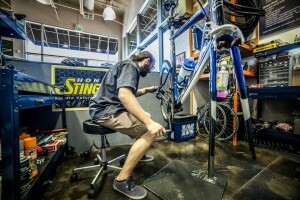 In addition to being a central source for cycling consumers in Southern Utah, Shake said he has worked to build a store where the employees know you by name. He has also created a culture of coaching, teaching and encouraging camaraderie among cyclists. 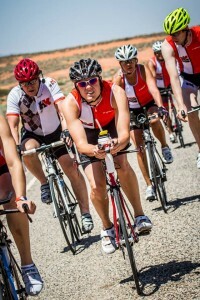 Each month, High Knees Cycling offers group rides that have included as many as 50 cyclists. Beginning at the High Knees bike shop on Red Hills Parkway, monthly rides take on a variety of routes and community causes – each ride is dedicated to a cause or organization in need of support and/or raising funds. “A really great thing about our monthly rides is that we gather to help those in need, and at the same time, we enjoy socializing and building new friendships,” Shake said. 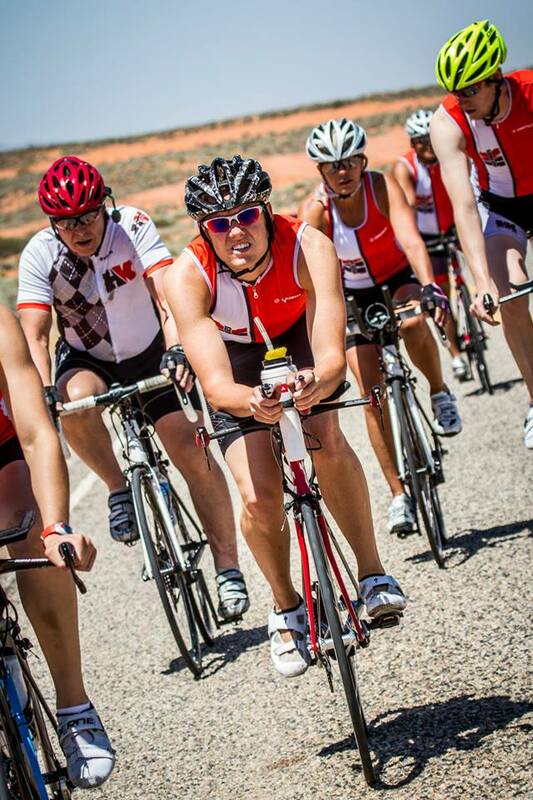 Store Manager Matt Mangen is a professional triathlete and XTERRA racer. Mangen said a top priority for High Knees Cycling is safety. With a crew of mechanics all certified by the United Bicycle Institute, keeping bicycles in top shape is critically important, he said. For newcomers to the sport, to moderate and advanced riders, High Knees management offers regular classes during evening hours. Education topics include: flat tire repair, proper nutrition for cyclists, basic mechanics, stretching, team riding, and more. But when it comes to selling bikes, this, too, is something the High Knees team takes seriously. “We believe in our products because we use them,” Shake said. In addition to an extensive road bike inventory, High Knees Cycling also offers the largest BMX selection in southern Utah along with a full curriculum of BMX training and safety courses. In addition to BMX bikes, parts, and clothing, High Knees Cycling also offers a monthly BMX Jam featuring a barbecue and social hour, and ramps and rails for customers to practice and perform on. 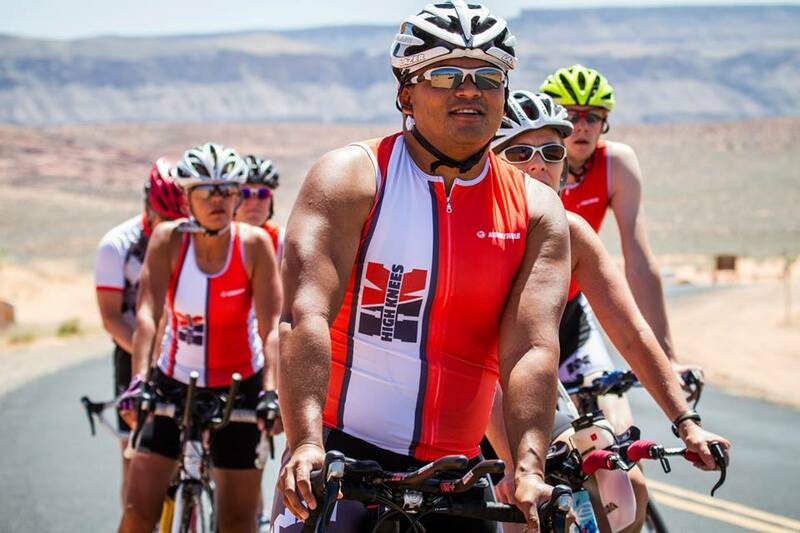 High Knees Cycling also sells mountain bikes to fit Southern Utah’s red rock and steep terrain, kids bikes and a variety of nutrition supplements.